Composed by Roger Filiberto. Saddle-stitched, Folk. All styles. Book. 20 pages. Mel Bay Publications, Inc #93660. Published by Mel Bay Publications, Inc (MB.93660). ISBN 9781562223496. 8.5 X 11 inches. 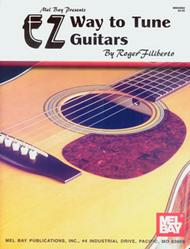 It's best both for your instrument and for your ear as a developing musician that your guitar be tuned accurately. Here's a beginner's book that presents several methods of tuning, providing step-by-step instructions so the student can learn how to tune the guitar accurately and quickly. 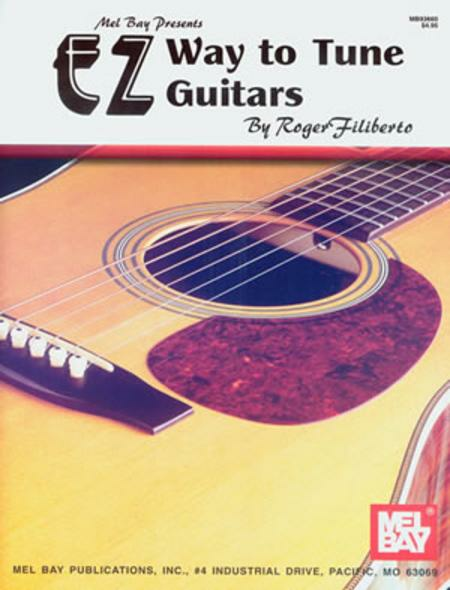 This book shows you how to tune strings from one to another, the harmonic tuning method, plus several ways to check the accuracy of your tuning.